We put the common sense in common sense when educating students on the do's and don'ts regarding Carry and Conceal. We don't practice or preach a doomsday sermon, rather we promote a "don't be a victim" mentality. We all have the right to protect ourselves by any means at our disposal. In the rare likeliness you will be in a situation that requires the use of a firearm for self defense or the defense of a loved one, having immediate lawful access to a firearm can be the difference between being a victim and not. Most people that prey on other people look for people that can't or won't Defend themselves. 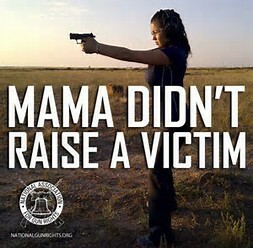 In other words, simply establishing the fact that you refuse to be a victim and have the means to protect yourself using lethal force if necessary, will most likely stop an attacker in their tracks. In the rare case that you have no other choice than to use lethal force, you will have the knowledge and the means to do so. Starting in the fall of 2017, we will also offer an NRA Certified Pistol Course for those who are new to guns and more experienced shooters who want to work on their skills with a firearm. This class is also divided up between classroom and range time. Our CCW course covers basic gun safety, ammunition, storage, etc. The Certified Pistol Course goes into much more detail about all aspects of gun ownership. This course is also designed to give the student much more "trigger time". We have several different calibers and sizes of pistols for the student to shoot to help them to determine the right gun/fit for their needs. We highly recommend this Course to new gun owners. We will concentrate on your form, on your skill, and your confidence in handling a gun! We at High Noon are more than happy to answer questions or address concerns long after the courses are completed. Students are encouraged to give us a call or send us an email to discuss any related topic. We want you to be an informed, and responsible gun owner! Protect yourself and the ones you love at all cost! To register for classes. Click the button to the right. Saturday CCW Classes are $69. Check our other options like our weekday specials on our Pre-Registration Page. Thanks for choosing High Noon! !